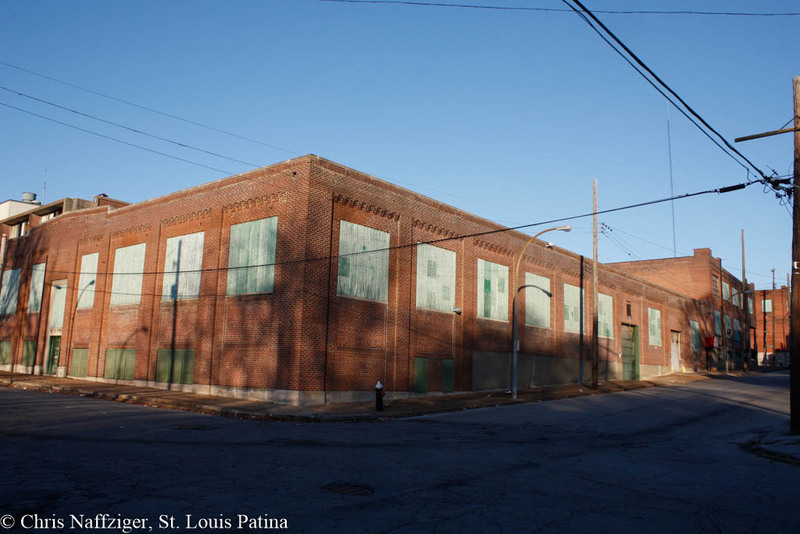 I suspect these buildings are some of the last additions to the old Hyde Park Brewery. The Modernist office building is interesting, but it obviously does not function as that anymore. The main brew house was right at Salisbury and N. Florissant, right across from the old Bethlehem Lutheran. Does anyone remember these buildings being used by the brewery? Hi, I was looking for info on Hyde Park Brewing because my dad worked there the summer of 1950. The address he bad was 3516 N. Florissant. Not sure if that answers your question at all about the use of those bldgs. Jim, that information makes me very happy, as that address comes up as the southwest side of this building (the view above is the southeast side along Destrehan, which are obviously loading docks). 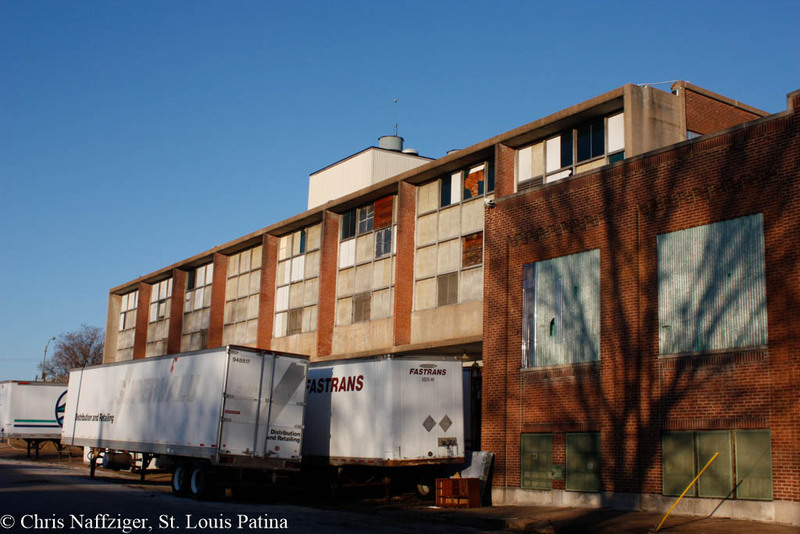 This seems to confirm that this building was part of the brewery, as the old historic 19th century buildings now demolished were one block northwest at N. Florissant and Salisbury.